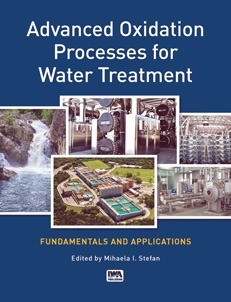 International Water Association Publishing introduces Advanced Oxidation Processes for Water Treatment by Mihaela I. Stefan. This 710-page book covers key advanced oxidation processes developed for chemical contaminant destruction in polluted water sources. Topics include relevant AOPs, photochemistry of contaminants in aquatic environments, advanced treatment for reuse, implementation of processes for drinking-water production, treatment of municipal and industrial wastewater as well as green technologies for water remediation.